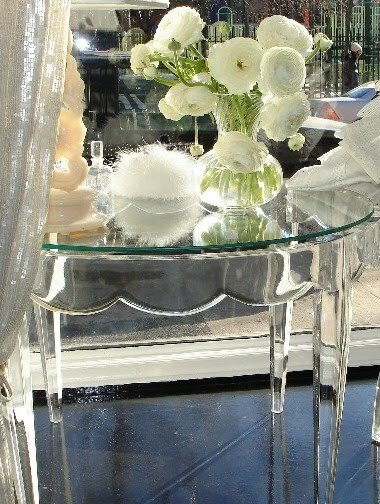 Blue Artichoke Interiors: Lovin' Me Some Lucite! I've always been a big fan of lucite and acrylic furniture and yet I don't have a piece in my home- yet. 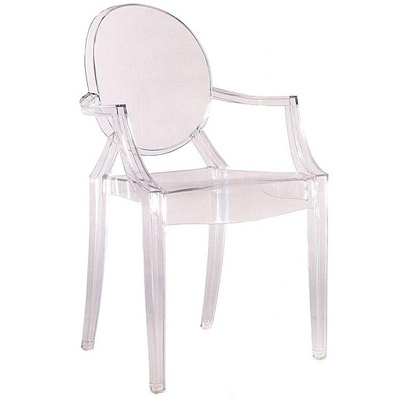 I have thought about how I could work in one of Starck's Louis ghost chairs since I've always love this look. Maybe these would work great for my breakfast area. They would certainly clean up easily. I think Starck's Mi Ming chair is pretty fun too. It comes with either this silver or a red accent. While I was doing some internet browsing, these new Pasha lounge chairs from Espacio caught my eye. I just love traditional chairs done in a fun, modern way. 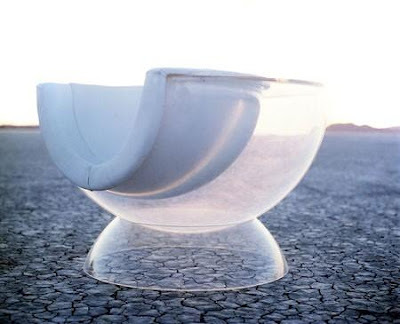 This Oddball chair from Unica Home is fun, but way too pricey for average folk like me. This is a lucite cocktail table from Acrylic Innovations that I think looks perfectly at home in this traditional living space. 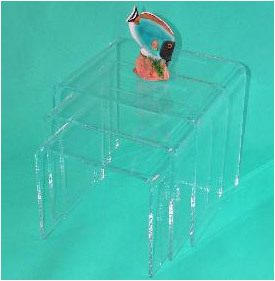 Surely I could find room in my home for these nesting tables from Delcraft Acrylics. I've seen many knockoffs of these lovely tables. I think this illusion table by John Brauer is quite cool and very original, but it doesn't fit into my decorating decor. Something a little more my style is this scalloped cocktail table from The Paris Apartment. 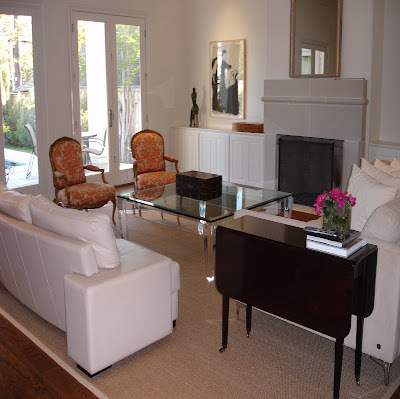 Acrylic and lucite furniture is becoming more affordable since knockoffs are everywhere. I found this Adair coffee table at Overstock which is a knockoff of the Magino coffee table that Design Within Reach sells. 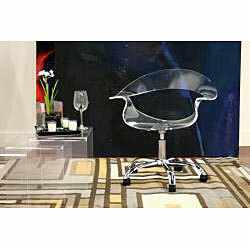 I also found this really cool Clear Ultra-modern Office Chair at Overstock to inject a great vibe in your working space at a really great price. 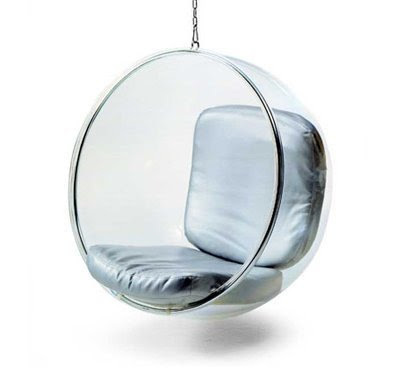 If you're looking for something really fun and funky, check out this hanging bubble chair from Regency Shop which is a knockoff of the Eero Aarnio Bubble Chair at a price more people could afford. 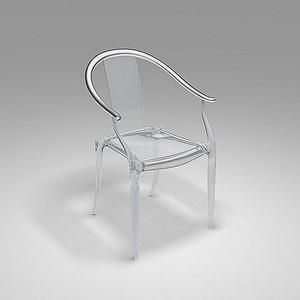 This chair can be used indoors or out. How fun would this be to have this hanging on your porch? 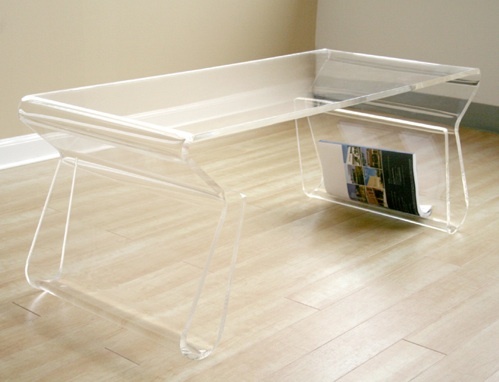 Are you inspired to check out some acrylic or lucite furniture pieces for your home? Love the Pasha lounge chairs! 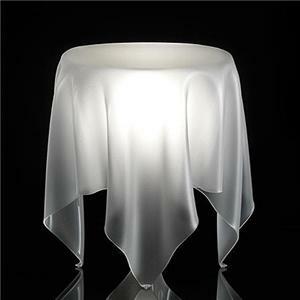 I would love a ghost chair or 2, they are fantastic, you have made some great dicoveries here. I really enjoyed this post. Thanks so much for writing such great stuff. If you want an "As featured on The Design File" button, you can find one on the lower right corner of my blog's front page. yes these are great finds!!! I love www.plexi-craft.com - unique lucite stuff. Plus - everything is new.